Lock in a great price for Grand Palladium Colonial Resort & Spa - All Inclusive - rated 8.4 by recent guests. El trato al huésped por parte de TODO el personal es excelente. La alberca de buen tamaño y muy limpias. Приезжаем в это отель во второй раз. Замечательная территория, отличная еда и напитки. Пляж не очень удобный, мало удобных входов в море. Желательно брать с собой коралловые тапки. Отель старенький, территория очень большая и ухоженная. Трансфер заказывали через компанию, порекомендованную отелем-очень хороший сервис. Обслуживание хорошее, прилетели 01 января 2019, в основном отдыхающие были американцы и канадцы, 3-4 января публика начала постепенно заменяться нашими соотечественниками и сервис резко упал. В ресторанах стали медленнее убирать столы, медленнее носить кофе..
We stayed at the Grand Palladium Colonial, which was budget friendly and centrally located on the resort property. The food was decent and the property was really beautiful. The kids club and pools were just as pictured and really beautiful. 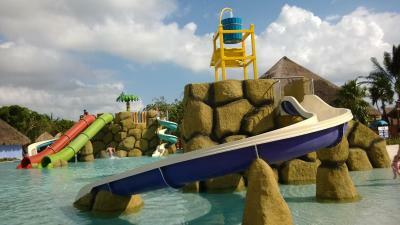 It was also great that through our reservation we had access to the two neighboring resorts and restaurants. The food and staff were wonderful. Rooms were clean. I loved the attention given for special diets at each restaurant. 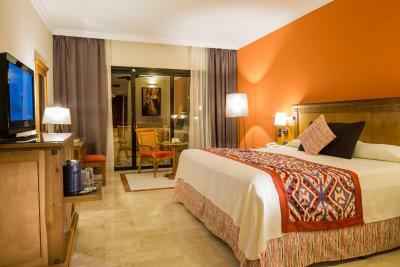 What an experience, amazing hotel, great value for money, couldn’t be a better decision made! 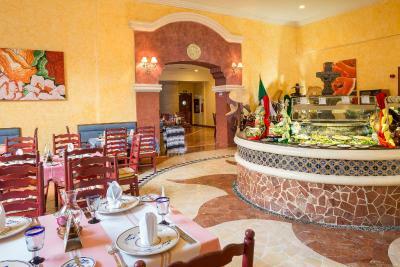 The ample choice of food and drinks makes it hard as you spend the whole day completely full, quality of food and drink! Beautiful grounds and beautiful beach! Tepinyaki restaurant was fun and delicious! Highly highly recommend this place ! La atención en los detalles. El servicio. Las comodidades de la playa, piscina, restaurantes. Viaje con bebé de 9 meses y nos facilitaban compotas (papillas) para El. De verdad repetiría. Las habitciones son muy cómodas. Tuvieron la cortesía de ubicarnos en un piso inferior en vista de que andábamos con la carriola. Todo eso, hace una estancia maravillosa. Eine sehr schöne Hotelanlage mit einem schönen Strand. Alles, was wir uns von einem All-Inclusive-Hotel erwartet haben, war vorhanden. Meist schon zuviel davon. 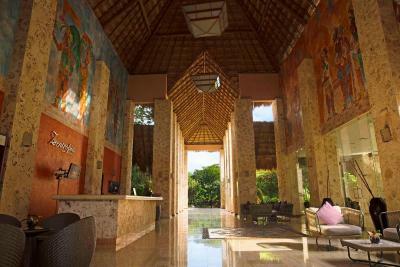 This Riviera Maya, Mexico hotel features a large full service spa. Five restaurants are on-site at the hotel, including the Kabah Restaurant that offers Italian and Mexican cooking. 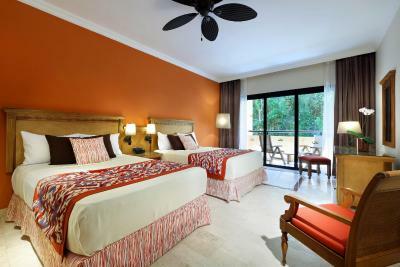 At the Grand Palladium Colonial Resort & Spa, guest rooms provide garden views and a jetted bathtub. The rooms also feature a terrace with table and chairs. 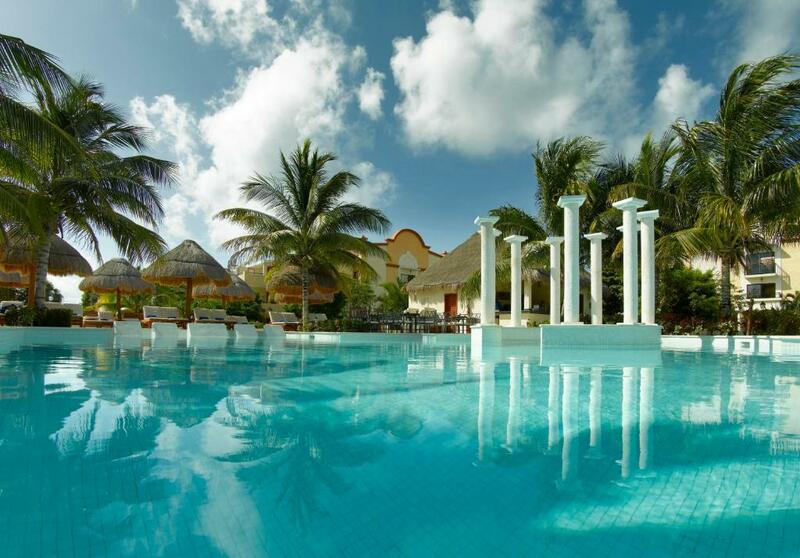 The Colonial Resort & Spa Grand Palladium features 7 freshwater pools. Entertainment is provided at the theatre each night. 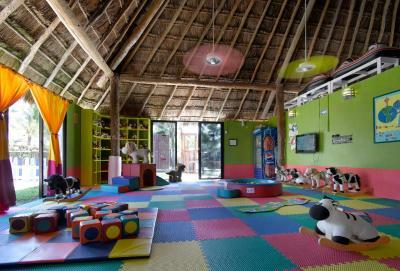 The hotel offers a children’s club. 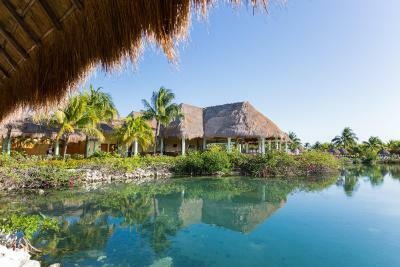 The Tulum Jungle and Cenotes, water-filled caves, are a short drive from the Grand Palladium Colonial Resort & Spa. 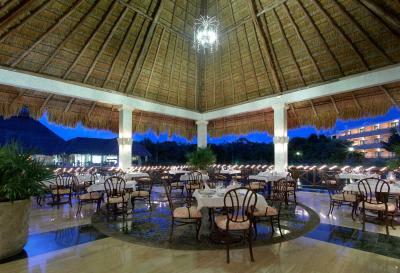 Chichén Itzá and the Blue Cenote of Sammulá are also within driving distance of the hotel. 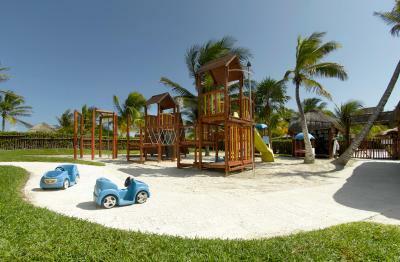 Grand Palladium Colonial Resort & Spa - All Inclusive has been welcoming Booking.com guests since 29 Nov 2006. 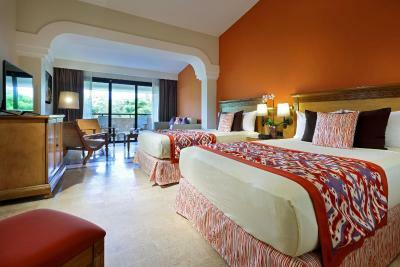 When would you like to stay at Grand Palladium Colonial Resort & Spa - All Inclusive? 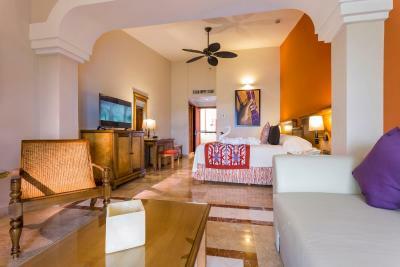 Featuring charming, colonial-style décor, this air-conditioned room offers a spacious balcony and either 2 double beds or 1 king-size bed. It features a ceiling fan, satellite TV with a movie channel, a digital safe and an iPod dock. Tea and coffee-making facilities are included and the minibar is re-stocked daily. The bathroom comes with a hairdryer. 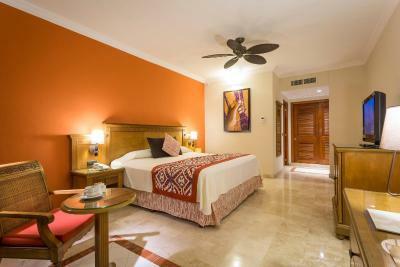 Featuring charming, colonial-style décor, this air-conditioned junior suite offers a furnished terrace with garden views, 2 double beds or 1 king-size bed and a sofa bed. It features a ceiling fan, satellite TV with a movie channel, a digital safe and an iPod dock. Tea and coffee-making facilities are included and the minibar is re-stocked daily. 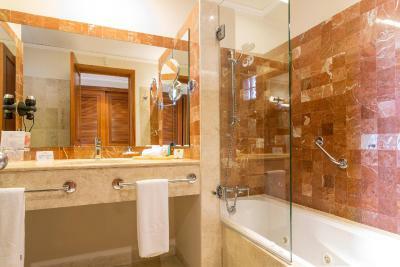 The bathroom comes with a spa bath, bathrobes, slippers and a hairdryer. 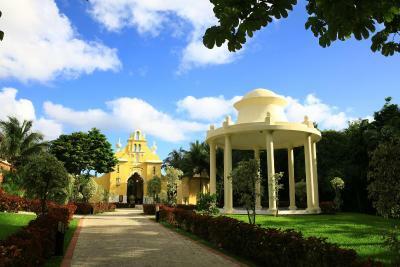 House rules Grand Palladium Colonial Resort & Spa - All Inclusive takes special requests - add in the next step! 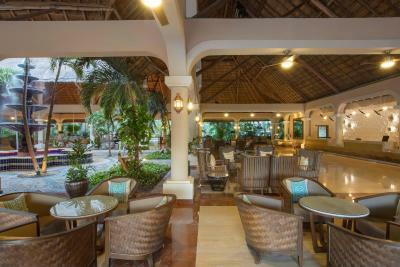 Grand Palladium Colonial Resort &amp; Spa - All Inclusive accepts these cards and reserves the right to temporarily hold an amount prior to arrival. 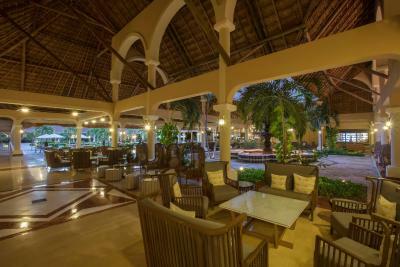 Grand Palladium Colonial Resort & Spa - All Inclusive accepts these cards and reserves the right to temporarily hold an amount prior to arrival. 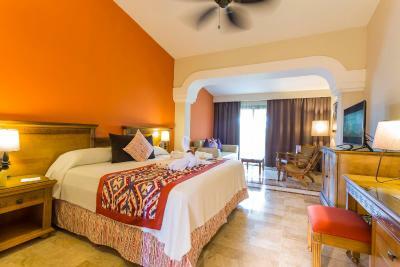 Free Wi-Fi is available throughout the entire complex, while premium wireless Internet is available at an extra cost. 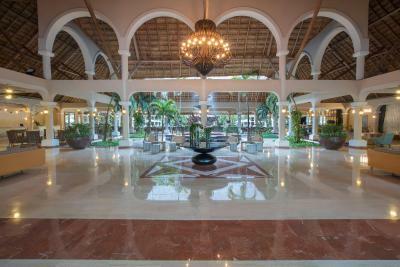 At check in, it would have been helpful for someone to give us a 411 on the property, actives and everything you need to know for the resort, that didn't happen and we often felt frustrated trying to navigate this huge property for the first time. The room had a smell and the pull out bed was all torn and ratty - and we paid extra for the junior suite. It could definitely use some upgrades. Also, the resort, while stunning, was so spread out that my kids were exhausted getting around (3 and 6 years old). We ended up walking to the White Sands resort next door for all of our food (newer, cleaner and more quality food). The Colonial buffets felt old and the food unappealing. It was great we had that option though. 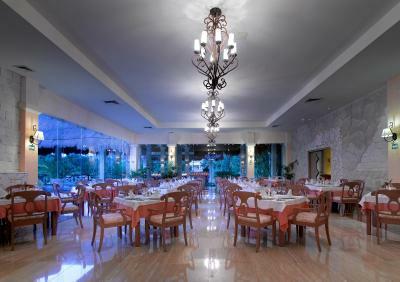 The restaurants - with the exception of Helios, the food quality is poor. In particular, most dinners were cold and seemed to have been cooked centrally and then transported to the various on site restaurants. Poseidon and the Thai place were particularly bad. Even Gaucho, which seems to bbq steaks on site, managed to serve barely tepid meat and the sides were comparable to bad airplane food. No signage for restaurants, just map dots. It took us some extra time to find the restaurants we were looking for. Some simple signage would have been perfect. The check in process was pretty confusing. We didn't know where to park the car with our luggage and there was no apparent parking for the check-in process. Fish restaurant on the beach, food was just not that good! Maybe just a bad night ! Me and my partner both got food poisoning . Be very careful of the buffets . Do not have ice despite what they say and stick to bottled water . The room! For a five star resort was it simple. Was all there like coffee, TV,... but we had some insects inside the room and TV reception was poor. We had better rooms in less star resorts. Food, drinks and entertainment - super! Since there was construction we could not use part of the resort. It would be nice if they could give us some type of credit towards another stay. Some Restaurants were closed.